Last week, I accidentally noticed my Penang friends drive all the way to Legoland and Kitty City. Therefore, I grab my phone contact them whether want to meet up near to them. This is my first time meeting friends out of my hometown area. My friends were quite surprise that I'm so familiar with this area. No doubt, since last three years I already had my chance to explore mostly the place in JB. On the other words, I can also be a Johorean soon? Why I am choosing here for their dinner? Firstly, the place here is very near to LEGOLANDs the best strategic place for meeting up. Secondly, I wish to try their high recommended signature ramen as they put on the menu on every table. I am so addicted to Japanese Ramen. And since I had best Ramen in KL, my taste bud is quite pampered and picky now. There is a series of signature flower tea on the menu, Apple Flower is our choice. 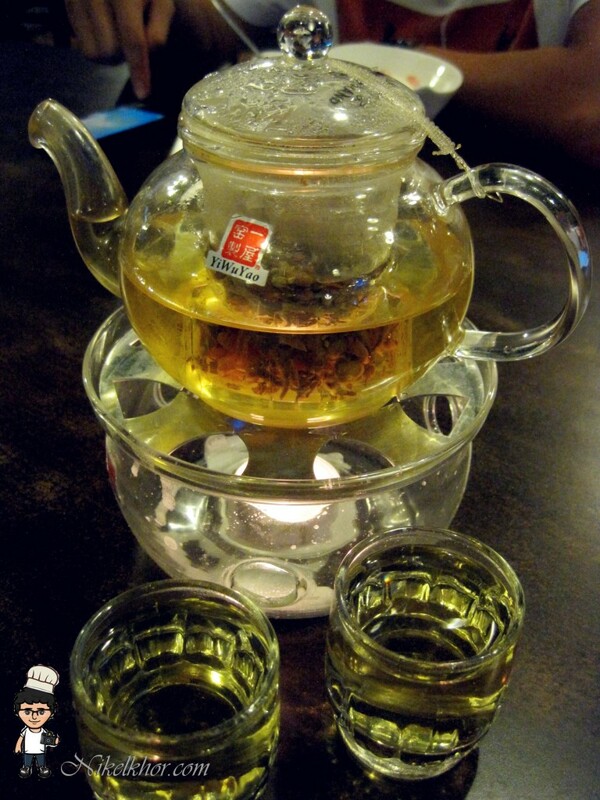 Every flower tea has its own function and health effect, which is clearly displayed on the menu. The apple flower is good for improving eyesight, promoting blood circulation and skin whitening. The tea emits the fresh flower fragrance. Although I didn't see any immediate-after-effect, the tea is definitely good to go with a heavy dinner, to wash down the greasiness. The first main dish on the table was Food Decor Signature Ramen. Instead of handmade Ramen, this noodles perhaps come from convenient packet. 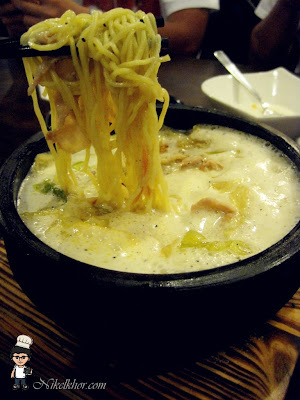 But well, it is quite well cooked, so the texture of the noodles is springy and not too soft. The pork bone soup is quite flavourful, and it is of little bit over-salty after the long cook. One of the credit of this noodles is that it is so porky! A big bowl of noodles fully covered with pork belly slices. Yum Yum. Anyway, this is not the typical Japanese Ramen and definitely can't beat down the Ramen I had in KL. It is unfair to compare it with a Ramen Specialist Restaurant. 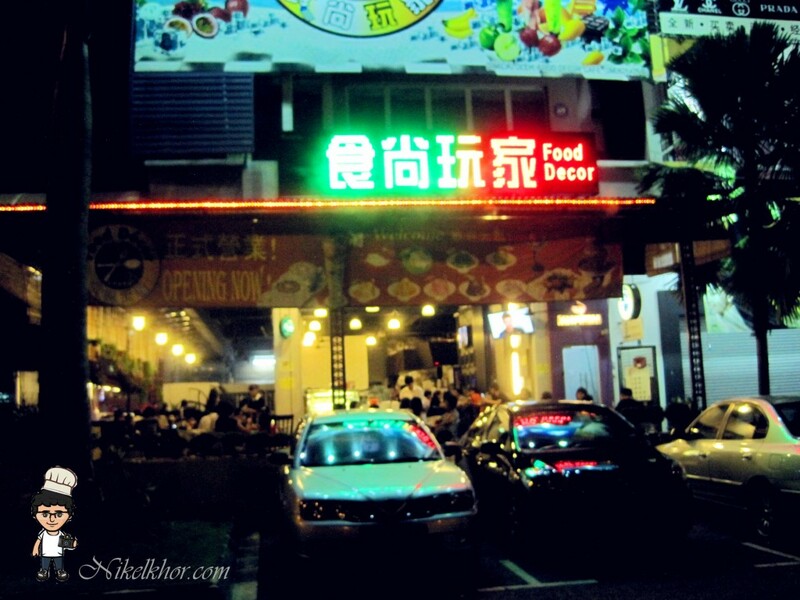 The restaurant is selling both Asian and Western food, but we still lean our preference to oriental and Asian flavour. 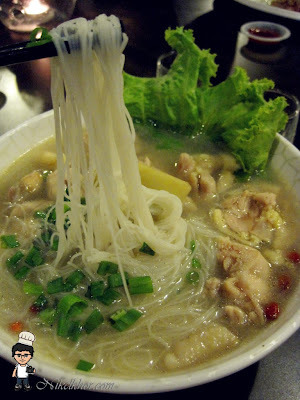 The other choice of the day is Rice Vermicelli in Chicken Soup. I like the soup with some rice wine and herbal fragrance, very appetizing. The chicken is quite smooth and tender too. But I am not so into the combination of Bee Hoon and the soup, Bee Hoon does not absorb the essence from the soup very easily, it will be better if it comes with Mi Suah, maybe they can consider my suggestion? Not so bad experience after all, I am quite impressed with their service. the waiter and waitress there deserve my compliment, act fast and also respond fast when I told them that my dish was not yet on table. Will come next round for their western food. I love fruit and flower teas! Refreshing!